Google recently announced two new smartphones, the Google Pixel and the Google Pixel XL come with latest android OS version, it's Android 7.1 Nougat. It comes also with specific features aimed at getting maximum performance from the hardware on both devices. One of the new features is the Pixel Launcher. Nexus launcher is a polished version of the Google Now Launcher, which is exclusive to the device. 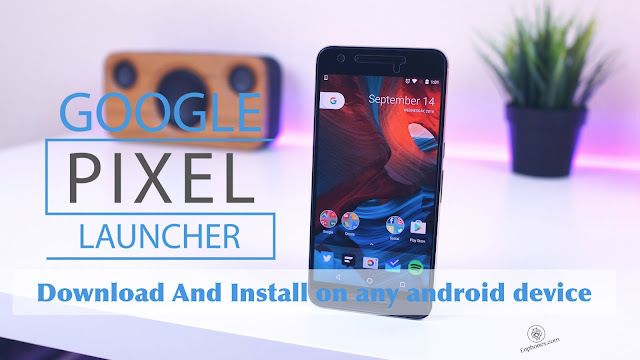 The launcher was leaked shortly after the news of Google Pixel surfaced and has been available to all Android users ever since. The launcher has been picked up by third-party developers, it is not officially available on the Google Play Store for downloading, so you need to download the app in its APK format and manually install it. 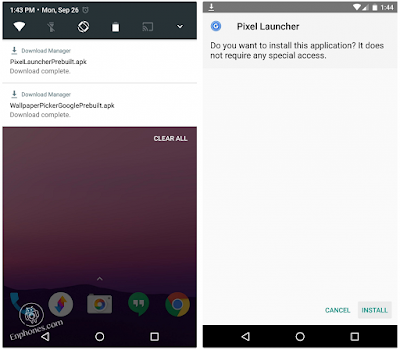 After downloading Google Pixel Launcher apk file and Wallpaper Add-On (if you need) using the link given above, make sure you have Unknown Sources enabled from Settings->Security. if all right, just go ahead and tap on the downloaded .APK files to install them on the device easily.